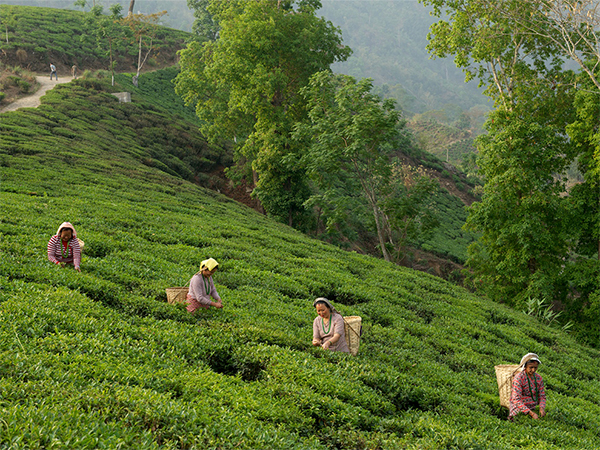 This month's great read selected by our editors: Andrew McCarthy heads to India's verdant northern hills to indulge in the champagne of teas. SITTING ON A SPLINTER-PLAGUED BENCH outside a cement-and-mud hut under a magnolia tree, I watch a young woman with a sad, unguarded smile bend to offer me a yellowing porcelain cup without a handle. A confused rooster is crowing at the late afternoon sun slashing light across manicured tea trees that cling to the hillside rolling down to the Rung Dung River. In the distance, the hills rise back up, capped by a jumble of buildings in varying states of decay. Darjeeling. I raise the dirty cup to my lips. The woodsy aroma of tea pushes away the flowered scent of the air. The amber liquid slides into my mouth. Could this really be it?